There are lots of autoresponders out there. All of them will make managing your lists easier, but some of them are better than others. There’s one autoresponder that I want to mention that not only offers some of the best options and services, but is also a great deal. Usually, you get what you pay for when you buy something on the net. There are even free and inexpensive autoresponder programs available that you can download. What happens when something goes wrong or malfunctions? You are on your own in terms of service. And remember, your autoresponder is the tool you use to manage your list. If your autoresponder is down, you are essentially out of business. Okay, so what you need is an autoresponder that is going to be both affordable and give you great value for the money. The one I recommend is by Aweber. They have a comprehensive autoresponder program that gives you a whole array of services. It gives you everything you need to manage your list no matter how large it gets. ( Incidentally, I’m not affiliated with Aweber in any way and I don’t promote the brand because I get a commission for every person I refer. I simply think it’s the best one out there. In addition to sending out your emails according to the schedules you decide, the Aweber autoresponder lets you create sub-groups so that you can direct different sets of emails at different groups of customers according to your campaign schedules. It can send out emails in either HTML or in plain text, so your customers can read your emails regardless of what operating system they are using. The Aweber autoresponder also includes an easy to use HTML editor and high-speed email delivery, so you never have to worry about whether people are getting your emails on a timely basis. If you want, it’s easy to personalize your emails using the custom fields the program provides and there are even pre-made template forms you can choose from. 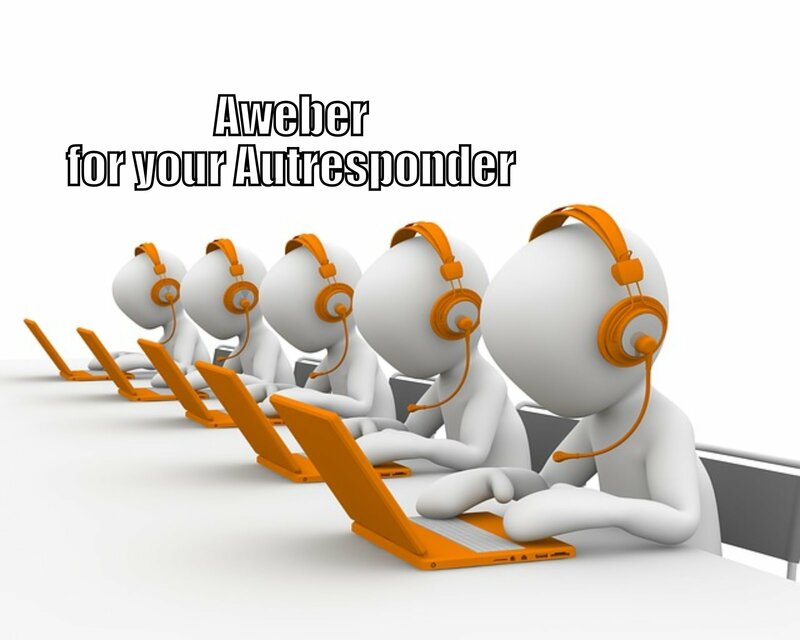 With the Aweber autoresponder, you can send out single messages as well as emails. It also provides unlimited follow-ups and a unsubscribe function in case your customers want to opt-out at any time. You’ll receive a daily delivery report, advance click tracking and reporting and even bounced message handling. Really, the best thing about the Aweber autoresponder and the reason I’m recommending it is its dependability and service. The company guarantees that the emails are going to be delivered to your customers when and how you need and if there ever is any problem, they are there for you to make things right. Take my word for it, there’s nothing more frustrating than sitting on hold with a service department or waiting for a service tech to email you back when your autoresponder has crashed. Every minute your autoresponder is not working is money you are not making. With Aweber you never have to worry about that happening. Their autoresponder is reliable and has one of the best performance histories in the business. If there ever is a problem, you can rest assured that it is going to be resolved as quickly as possible so that your business can continue to make money and never be out of business. That’s because Aweber owns its own data center, servers and fiber optics, so it isn’t reliant upon somebody else’s facilities. The company has been in business for more than 12 years and has an excellent reputation for quality products and highly responsive service. Having a great autoresponder like Aweber will help make your business stronger.